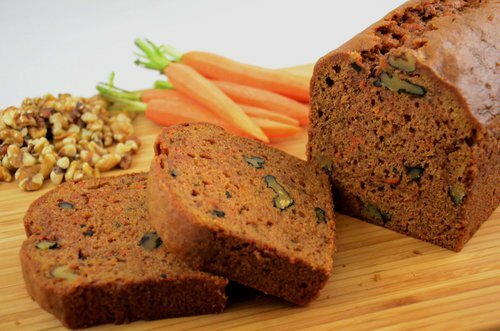 CARROT BREAD (40002) Naturally Delicious, Inc. This delectable bread is packed with fresh carrots and nutritious walnuts, and then sprinkled with a hint of cinnamon. The combination amounts to one of the best, most naturally delicious snacks you'll ever eat. Slices individually packaged.